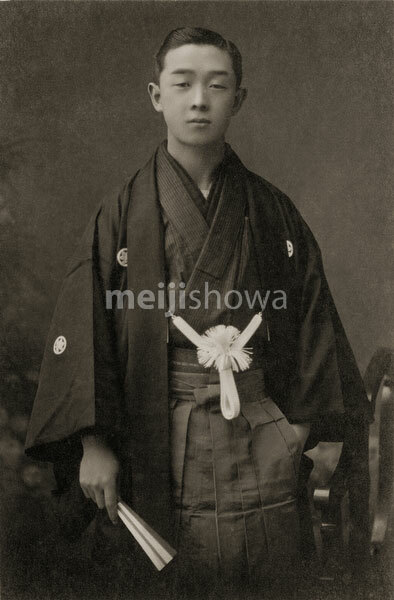 Young Japanese man in formal kimono. On the back, the photo is dated as 1917 (Taisho 6). Photo by Kagaya Studio, Hakodate, Hokkaido.